Bryggen harbour meeting in Bergen. Bergen, Norway's second largest city, lies clambering up the mountain sides, overlooking the sea. It is often called the gateway to the fjords, and many conference groups take the opportunity to combine business meetings in the city with day excursions to the fjords and mountains. Despite the small-town charm and idiosyncratic atmosphere, Bergen is also an international, bustling city with plenty of cultural events. Bryggen, the Hanseatic quarter, is included on UNESCO’s world heritage list. Bergen has a long tradition as a congress city. The first major assembly took place in 1163 when Magnus Erlingsson was crowned King of Scandinavia. Naturally Bergen has been playing host ever since, not from a sense of duty but because of the city's genuinely hospitable nature. Bergen is a UNESCO city, also known as the gateway to the fjords. It is Norway's second largest city with over 275,000 inhabitants. The city is easy to get to with regular flights from cities like London, Amsterdam, Copenhagen, Stockholm, Paris and Berlin. There are over 45 hotels with more than 15,000 beds. The largest conference hall has a capacity of 2,200. Bergen Airport Flesland is 18 kilometres, or around 20 minutes by car, from the city centre. 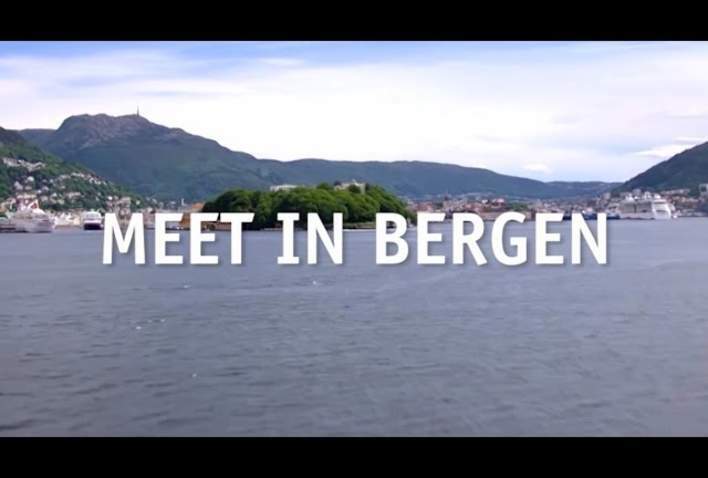 Around 10% of the population in Bergen are students, making it a lively and vibrant city. Bergen was founded in 1070 AD and was the capital of Norway from 1217 to 1314 AD. The local beer is called "Hansa". It is easy to get to Bergen with flight connections from all the main hubs in Europe. Thanks to the compact city centre, visitors benefit from having everything they need within walking distance. The train journey between Bergen and Oslo is widely considered one of the most beautiful in the world. The journey goes across the mountains and takes about 7-8 hours. There are several daily departures and you can get your ticket at NSB (the Norwegian State Railway). There are ferries to Bergen from Hirtshals in Denmark, operated by Fjord Line. Bergen is the terminus for Hurtigruten, The Norwegian Coastal Voyage, and a ship departs every night for its 11-day journey north. There are also modern express boats along the coast and into the fjords. Regular express buses connect Bergen with the rest of Norway. If you arrive by plane, you can take the airport bus to the city centre in 30 to 40 minutes. Get the best price by buying your airport bus ticket in advance. Most visitors to Bergen get here by plane. Bergen Airport Flesland, located around 17 kilometres from the city centre, is Norway’s second biggest airport.